Trusted Reviews has tested a wide-format inkjet printer from Epson. 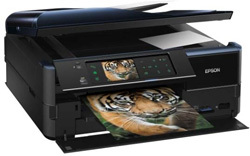 The printer is called Epson Stylus R2000 and is able to print A3+ prints using eight ink cartridges. Trusted Reviews ends up giving the Stylus R2000 an overall score of 8 out of 10 possible points. This inkjet printer scores highest on print quality where it gets an almost perfect score, a little lower on print speeds and features, while it scores lowest on value for your money. Although it has a bit high price tag it is relatively cheap to use and makes large prints of very good quality. Read the full review of the Epson Stylus R2000 wide-format wireless inkjet printer here. Trusted Reviews has tested a laser printer from Epson that is able to make up to 30 prints per minute. The printer is called Epson AcuLaser C3900DN and also comes with automatic duplexing. Trusted Reviews ends up giving the C3900DN an overall score of 9 out 10 possible points. The Epson printer scores highest on print speeds and print quality, a little lower on features, while it scores lowest on value for your money. The reviewer likes the design of this Epson and that is has a multipurpose tray with good capacity. On the negative side there are issues such as slower than advertised and it is sometimes slow to start printing. Overall Epson has produced a very good laser printer with this model. Read the full review of the Epson AcuLaser C3900DN colors laser printer here. Trusted Reviews has tested a multifunction inkjet printer from Epson that is on paper able to print very fast. 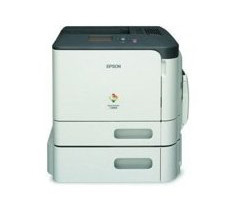 In addition to being able to print the Epson Stylus Office BX925FWD is able to copy, scan and fax. Trusted Reviews ends up giving the BX925FWD a very good review with an overall score of 9 out of 10 possible points. The printer scores highest on features and print speeds, while it scores a little lower on value for your money and print quality. 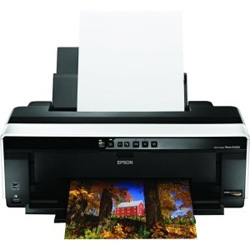 Overall this Epson is very capable and fast. It has nice features such as twin paper trays and full duplexing. 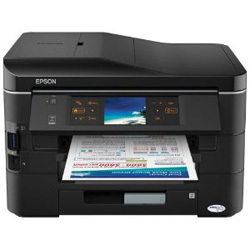 If you are looking for color multifunction printer this Epson printer might be your choice. Read the full review of the Epson Stylus Office BX925FWD multifunction inkjet color printer here.